What an amazing race! I was waiting for this one all year and it turned out to be everything I had hoped for. 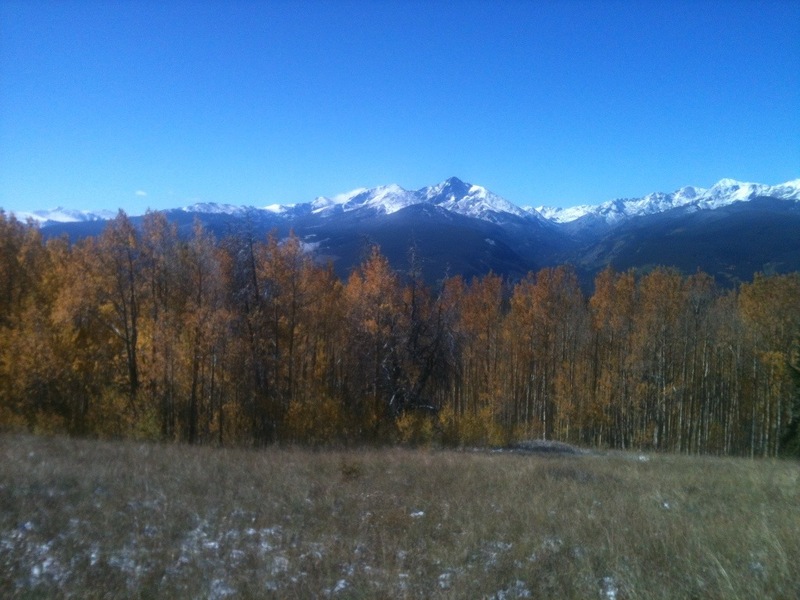 It was a magical day on the trails of Vail with the recent snow and changing aspens. 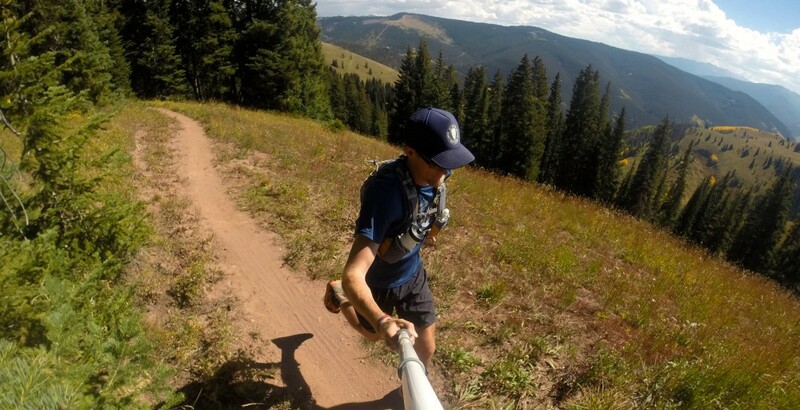 The UBER 50k was part of the Ultra running world championship event, the UROC100k so it was very cool getting to see and meet some of the best runners in the world over the weekend, right in my home of Vail. The 50k had 84 starters and 71 finishers. I was 4th in the mens 20s age group (just like my last race) and pretty happy with my overall outcome. I felt great most of the race and had alot of fun out there pushing it. I was hoping to break 6 hours but, it was a very challenging course with the snow making things slippery and the 6,000 feet of climbing. I felt strong and held off alot of runner in the second half of the race. I think it helped knowing most of the trails and knowing when to push it and back off. 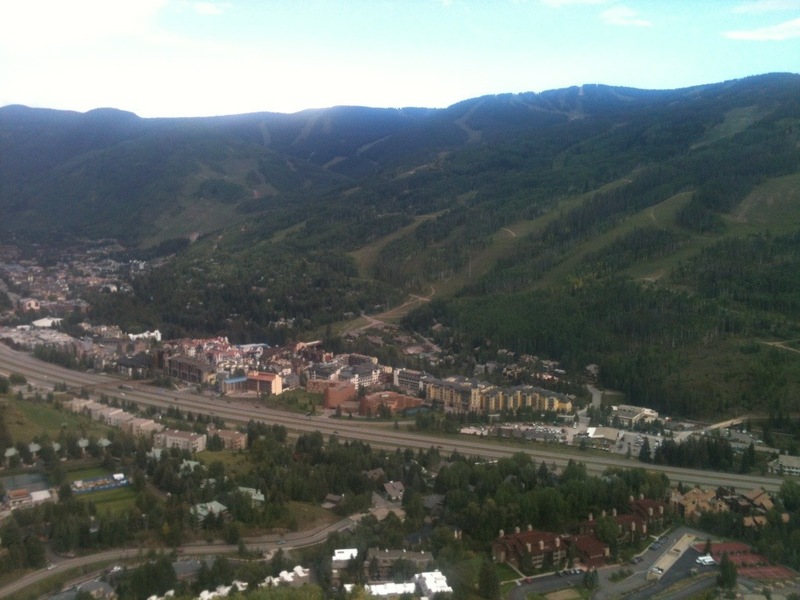 It was so much fun bombing down grand traverse and Cougar ridge to Minturn. 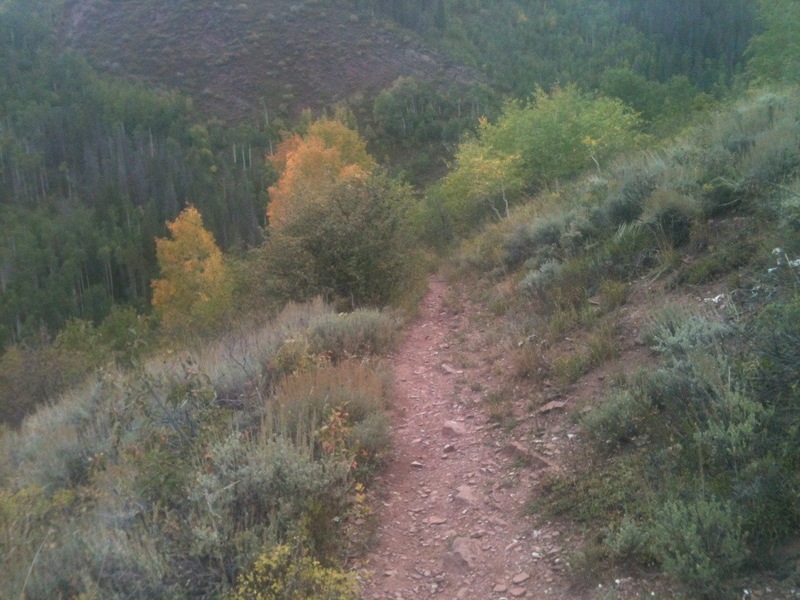 The hardest climb of the day was definantly going back up Game Creek Trail from Minturn to Vail. It was typical Colorado weather with cold temps and snow in the morning warming up quickly as soon as the sun came out, I ended up running with no shirt for much of the second half. I brought my Nathan Vest which was awesome to carry things and have my hands free. My goal of the race was of course to finish but also to pace myself and finish strong which i feel I did, even though I was hurting with some upset stomach and sore feet i was able to jog the last couple miles of service road on Vail Mountain to the finish. It was fun to finish my race, get a Dales Pale Ale from Dylan Bowman at the Hypoxico tent and wait (only an hour and a half) for the 100k runners to finish. Very cool to see runners like Rob Karr, Dakota Jones, Cameron Clayton, and Killian Jornet, finish behind you on part of the same course you just finished, and to hear them say it was the most challenging race of thier career. 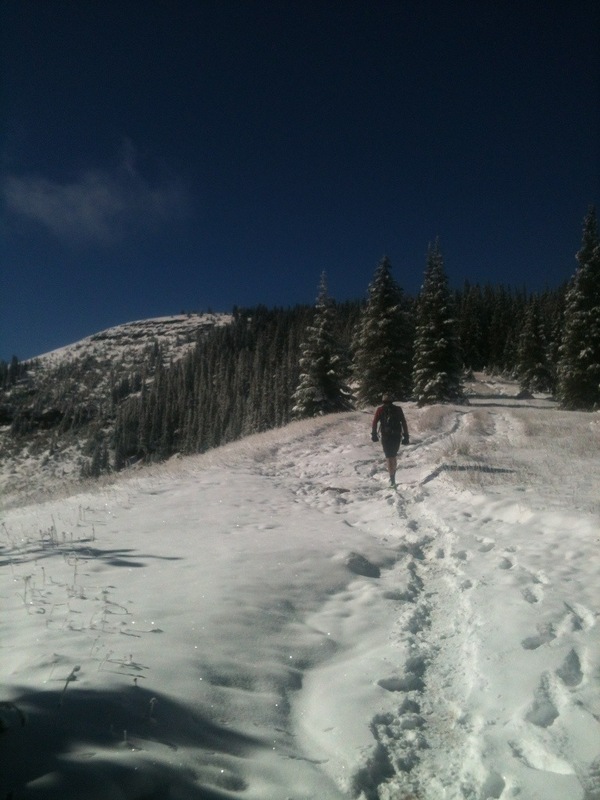 I love running in the Mountains and it was for sure one of the most beautiful runs I have ever been on. Very happy to have completed my second 50k on a challenging corse in Vail, being chased by some of the best runners in the world. Was getting a little down after camping in Aspen for two days and only doing one very short hike so I came back to Vail ready to run. Rooster was tired from camping so I left him home which is nice and makes for a relaxing run at my own pace. 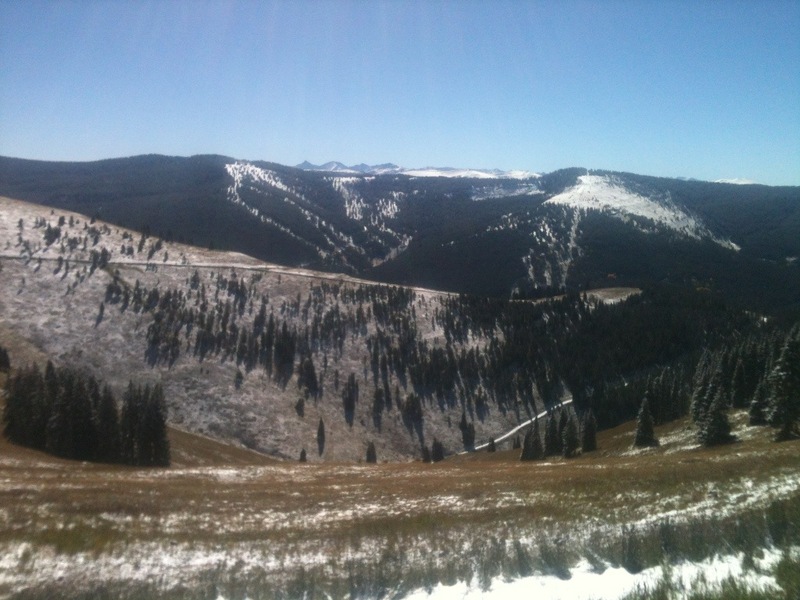 It was beautiful out on the mountain and I LOVE calling Vail home. 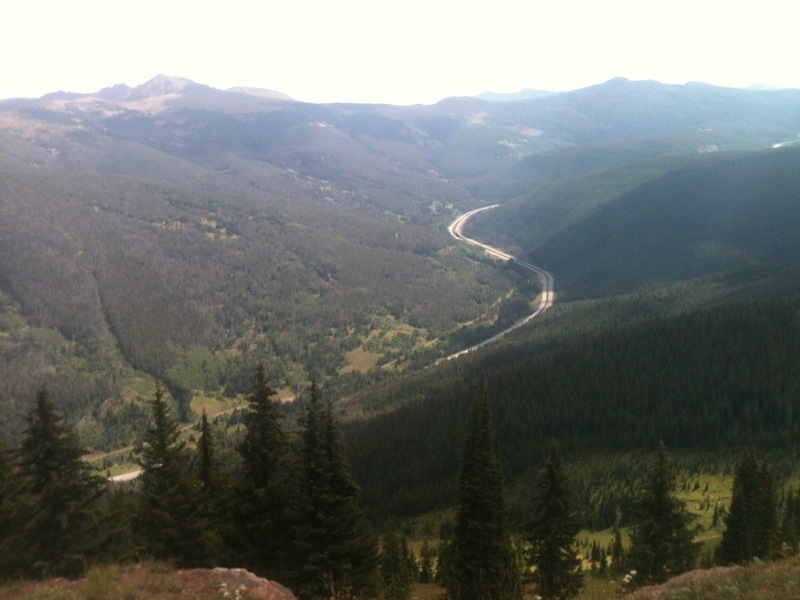 I cannot wait to run my second 50k in a week here in Vail. 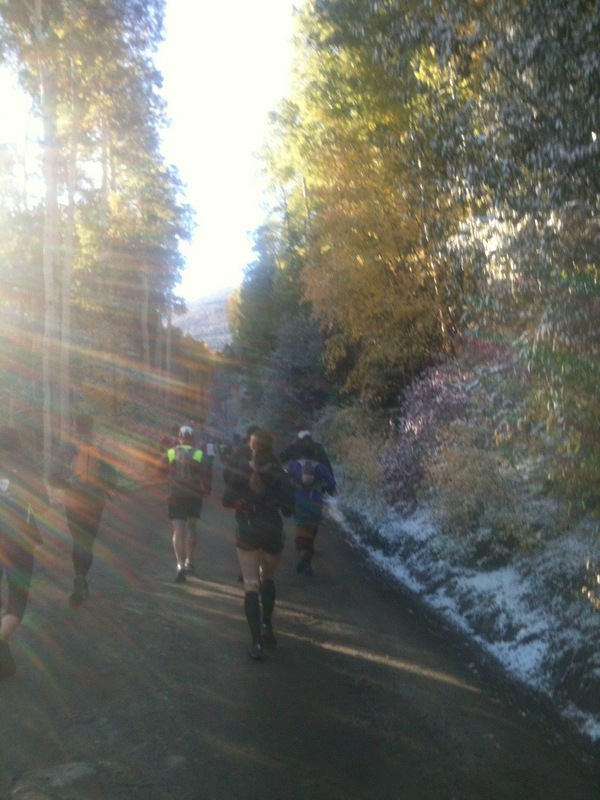 Its called the UBER 50k which is a part of the UROC(Ultra Race of Champions)100k. After I finish my 50k all the biggest runners from around the world will be finishing right behind me and it should quite the show. 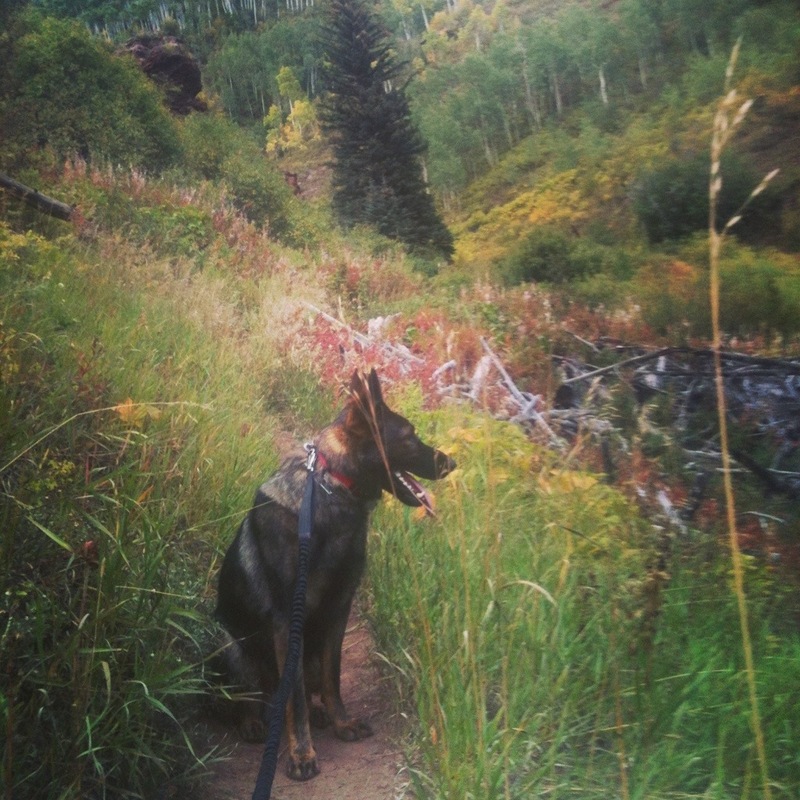 Great after work run on North Trail with Rooster. The leaves are changing fast and man do I love running in Fall. Was planning to race the Kite Lake Triple today but it was post poned due to a road being washed out from the recent rain. 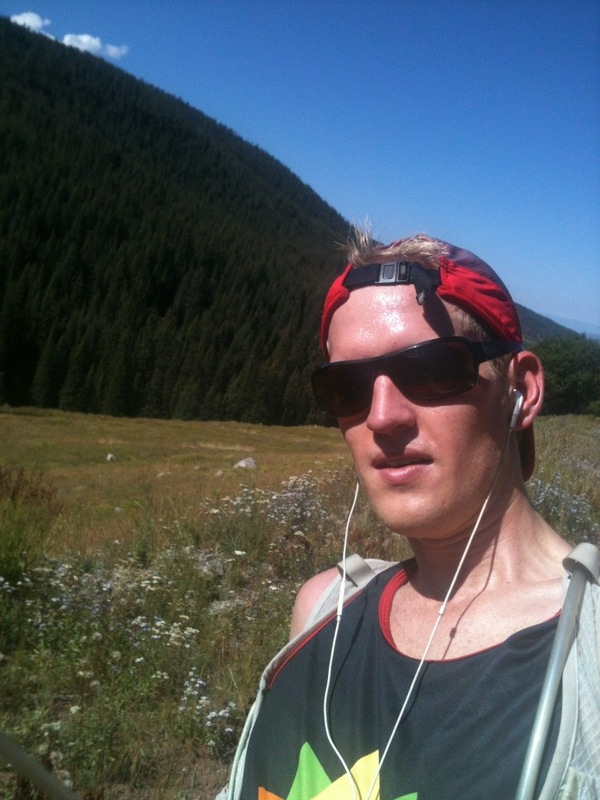 My new buddy Luke and I decided to try and run Mt of The Holy Cross, a 14er close to Vail. 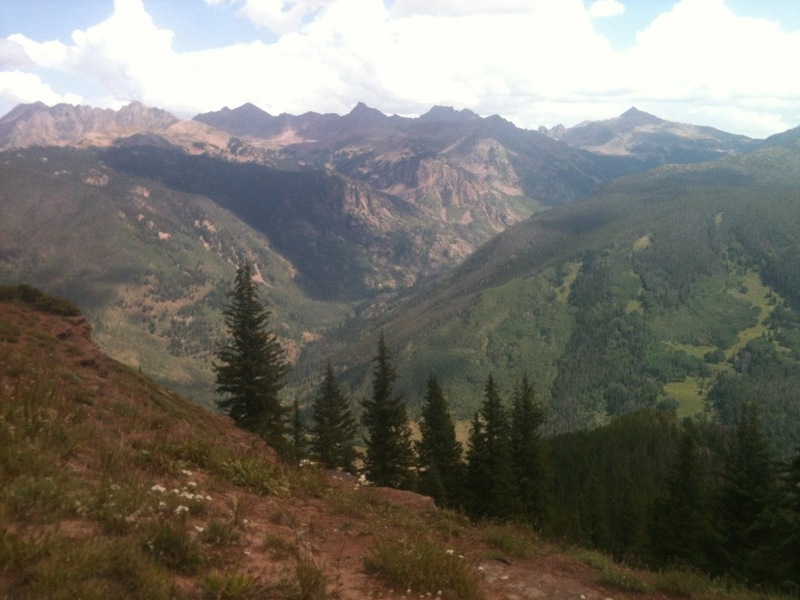 I have hiked it with my Dad before but looked forward to running it (or any 14er for that matter). We started a little after 7am and made good time but by the time the summit came into view all you could see was clouds. We turned around with probably a little over a mile of high apline rocky hiking left just to be safe. I was chased off by lightening before and didnt want to experience that again. Besides turning around early it was a great run. Good to be out there on a beautiful trail with a friend. After a long mountain run saturday it felt great to even it out with a shorter face pasted bike path run on sunday. 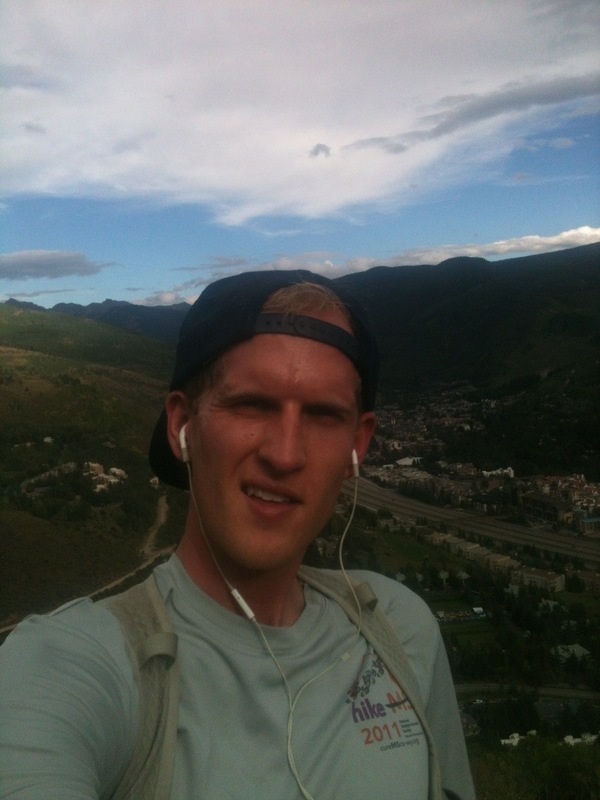 I went out with no dog, water, music, or shirt and ended up running on the bike path from lionshead to west vail. It was around 5pm and I got rained on which felt great. 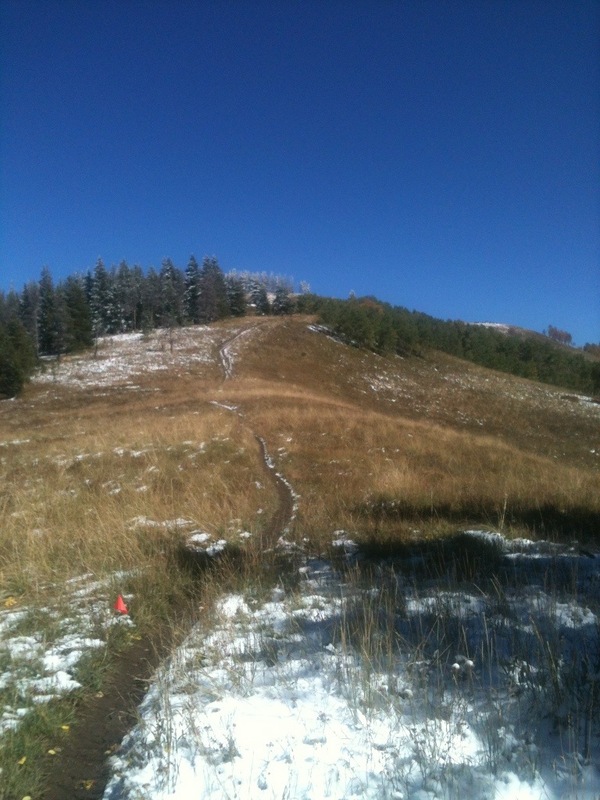 My legs were a little sore from going up the side of the ski resort but this was the perfect shake out run. 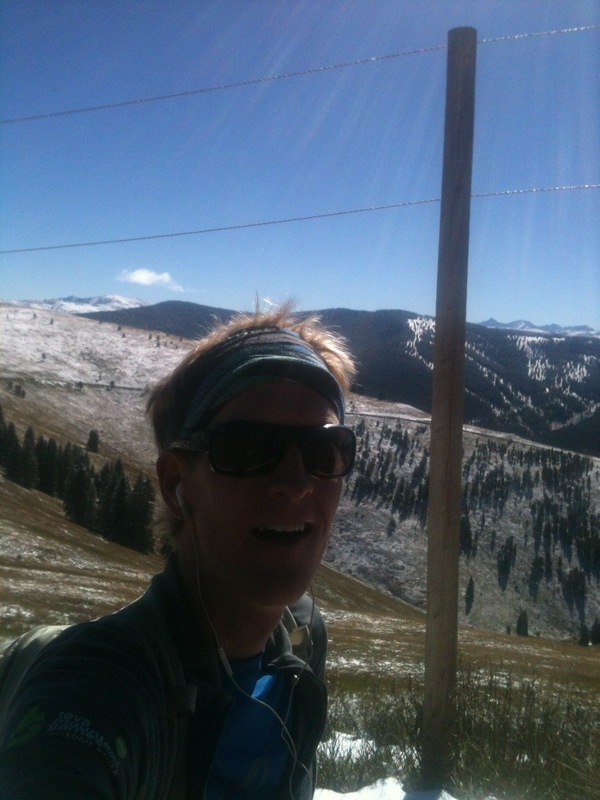 Amazing long run going up the side of Vail Mountain on Mill Creek Road from my apartment. 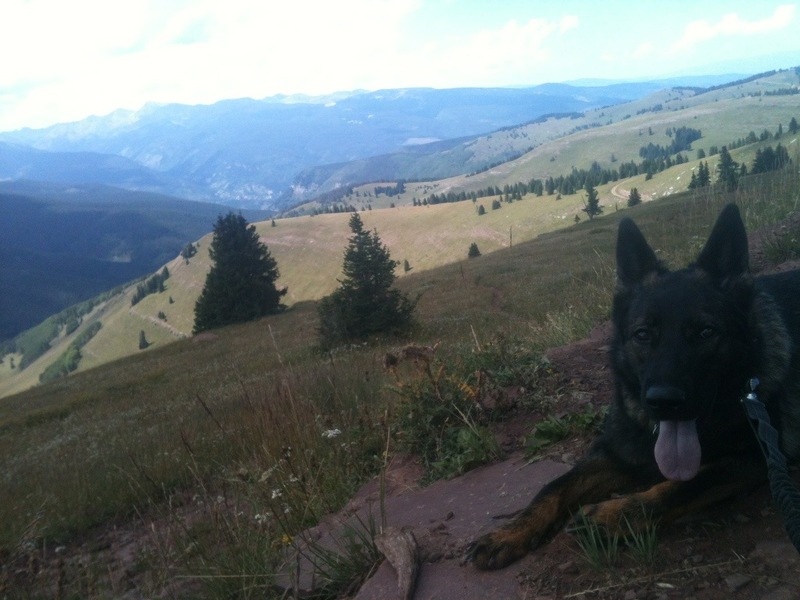 With taking the gondola down from Eagles Nest, to take it “easy” on Rooster, we were out running/hiking for about 5 hours. 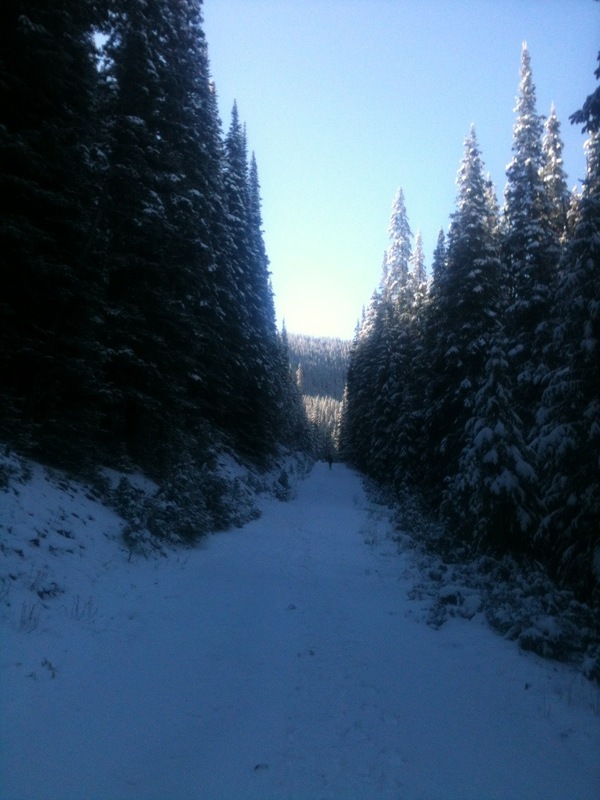 I had never been all the way out Mill Creek Road and it was beautiful. After going through some lush Aspens you cut through some Mountain Meadows and switchback through forest all the way to the top of Mongolia and China Bowl. 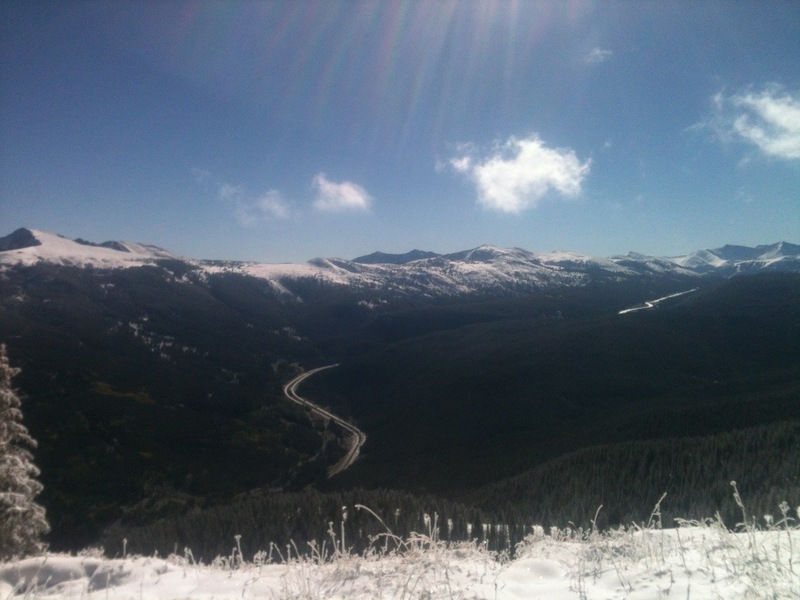 After a few hours of bumpy and fairly service road which hasnt seen motor vehcile use in over a year I came to a ridge where I had been before, last winter I had dropped into the most epic powder of my life here for an East Vail Lap. 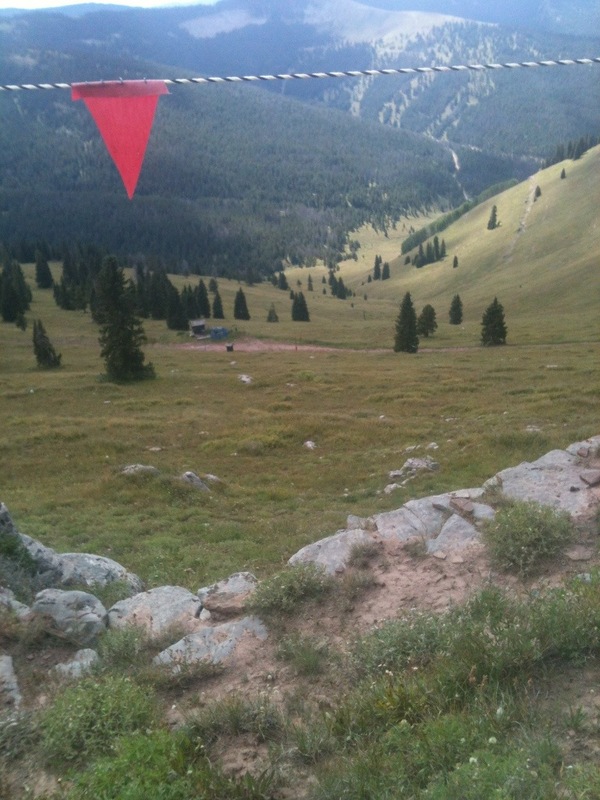 Once I came over the top of the mountain I knew exactly where I was and saw Two Elk Lodge in the distance. I was really enjoying the weather and taking in the day with my buddy rooster. I ran into a bunch of friendly mountain bikers and was chatting as I ran with them. 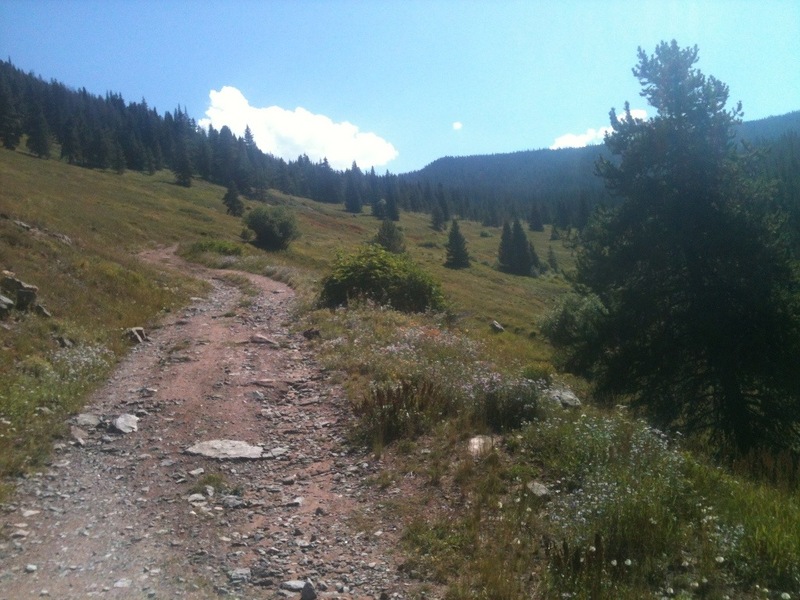 There was some awesome single track going along the top of the mountain towards two elk. It weaved between some rocks and made for some almost technical climbing. I was taking in alot of gels and salt tabs, about 5, my legs were a little sore and even though I was having a good run I felt a little upset to my stomach. 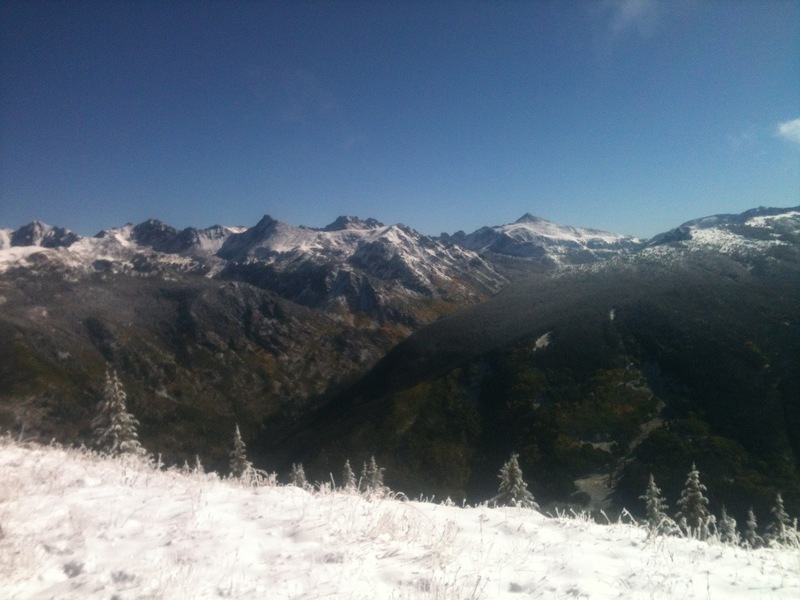 Anyway, we ran fast from Wildwood to Eagles nest along Ridge Route. After making our way along the top of the Ski resort to Eagles nest we took the Gondola down to the river and went for a dip then ran back over to sandstone. Great run last night. 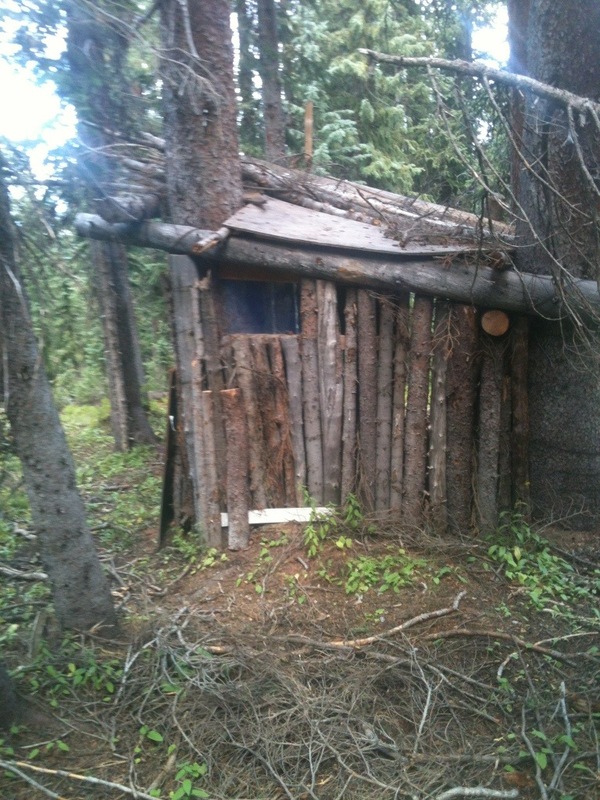 I went to meet up with the Vail Running Club but another sign of off season coming as there were only two people waiting. None the less it was good to run with other people and take a break from Rooster having to smell every flower and jump in every stream. The three of us headed up Vail Ski Resort on the service roads. I felt really strong after a couple good days off and a short run the day before. I also just gave in and had some chicken after 6 months of no meat. I was feeling a little weird and im sure a little animal protein was good for me. The guy who runs the club is also from upstate new york, Greg, is a fast runner who trains for road marathons. We dropped the other guy and made it up Mill Creek Road at a steady pace talking about races and work. 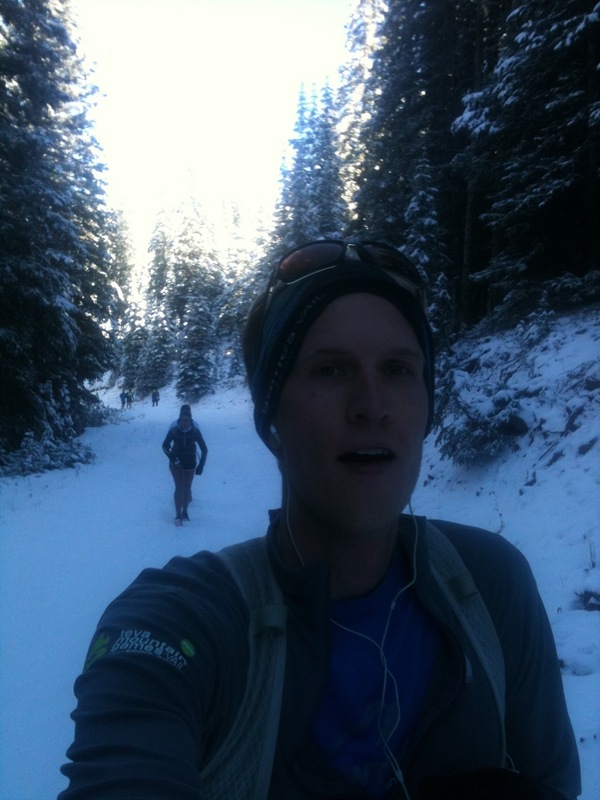 We ran into another runner named Keven who is training for the same 50k as me which was cool. Once we got to chair ten we took a trail with some single track sections called south 6 down a little ways, the downhill felt really good and i was able to open it up for a few miles. Once we got back to forest road and were almost to lionshead we were stopped dead in our tracks with a large Moose on the side of the road. We gave it some space for about 5 minutes it didnt move. Then, we noticed two smaller moose down the street, the mother called her calves and they came to her. Then we watched as the calves nursed like they havnt eaten in weeks. It was quite the show and something you dont see every run. After they finished nursing a Van came up behind us and we were able to sneak by and finish our run. It was a little rainy but a very nice evening. I brought no water or music and its always nice to get out with just your shoes and clothes and go. I havn’t blogged much this past week due to shorter runs not really worth blogging about. The other week I put in over 55 miles and I felt it this last week so took a couple extra recovery days. Last night I tried to go out for an 8 miler or even just an hour but i ended up cutting it short due to lightening on both sides of the Valley. It did feel good to do only a mile or so and shake out the legs after a few rest days. Except for the afternoon thunder storms the weather for september has been absolultey beautiful so far. I am trying to get some good long runs in this coming week with plans to race in the Kite Lake triple on the 14th and the UBER 50k on the 28th.